With the end of 2011 approaching rapidly, I finally got on the ball and finalized my 2012 race schedule not just for motivations purposes, but I needed to set goals other than trying to conceive our third child. After the birth our son in February 2010, Brett and I decided that over the course of the next couple of years, my triathlons would be limited to Sprints and Olympic (International) distances. Not would this allow me time to recover from the first pregnancy, but we knew we wanted to try for our second within a short period of time of having our first. Before getting into my race schedule let me give some background history. The 2010 season began; I received approval six weeks after giving birth from my doctor to begin exercising and four weeks later I was competing in my first triathlon of the season and to top it off it was my first Mother’s Day. Throughout the season, I competed in five triathlons (Sprint and Olympic) and two running races, while Brett completed in his first two half Ironman’s. When the season came to a close in late October 2010 – for me, I was almost ready to begin trying for a second baby. With a bit more convincing from my hubby, we began trying in January 2011. 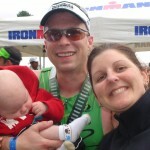 We are planners and very much goal oriented people, so Brett and I were trying to “ensure” the birth of the second child did not come to close to his first Ironman, which was held November 28, 2011. I really wanted to be there to support him. So low and behold, we got pregnant for the second time in May 2011. Perfect right?!?! 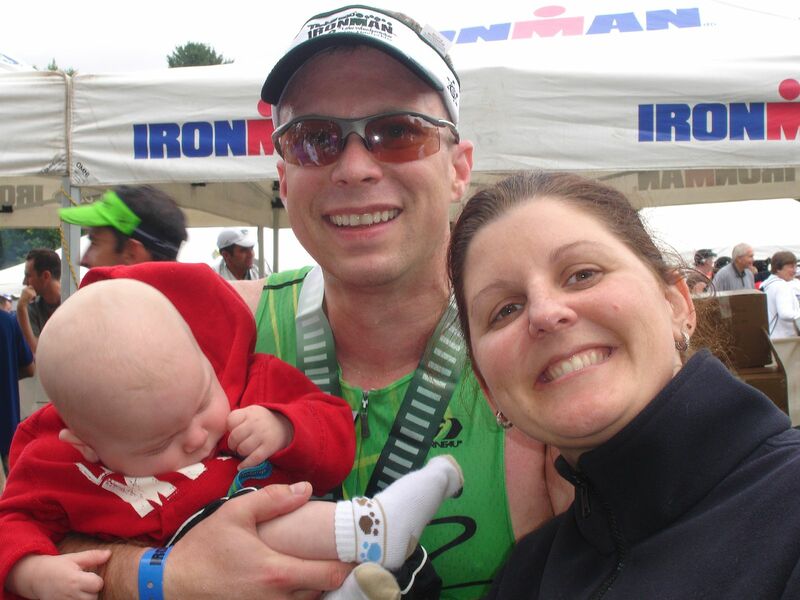 I was due to give birth in February 2012, which meant I would be pregnant, but not too pregnant to fly to Mexico and be there for Brett’s first Ironman. All was going according to “plan”, I was still racing and we were on track to have a second lil’ Coffee. Well, as we know “plans” are not really ours; God had a different plan and our lil’ Coffee. In my second trimester – August 2011 – we lost our Angel. It was extremely difficult for both Brett and I.
Luckily, at the time we had a beautiful, healthy almost 18 mos. old that loved to laugh and play and he is always put big smiles on our faces. As we tell people, a toddler hug goes a long way to curing a broken heart. A blessing in disguise, was our little man had no concept mommy was pregnant and we will not have to explain anything to him (at least at the moment). 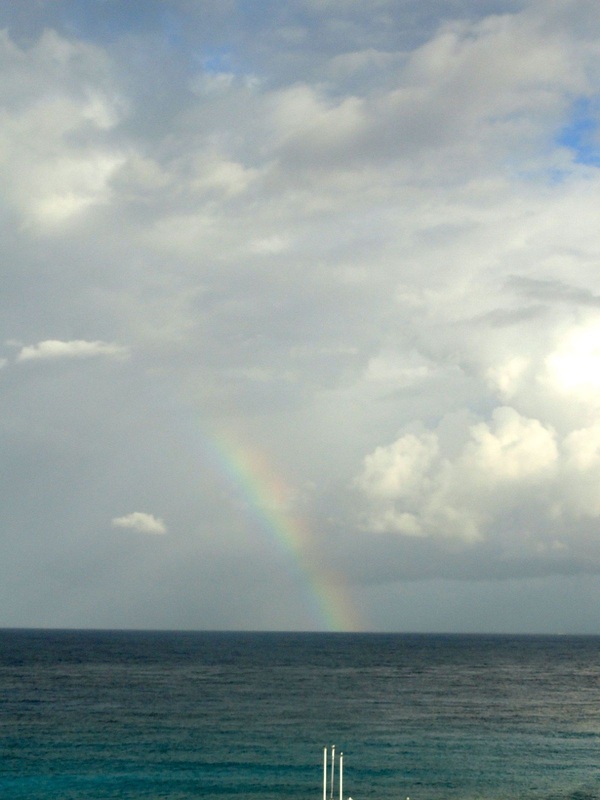 A silver lining that Brett and I felt we had walked away knowing when we were presented with the situation, we realized how strong we were together, and how our communications skills have really proven strong. We both feel blessed that we have one another and that we have our little man. Like my first pregnancy, soon after I received approval to begin training again, I did. I needed something to focus on, so I registered for the Richmond Half Marathon. I trained, but not too much because we wanted to try again to get pregnant. As any husband wife team (or anyone trying to conceive) can attest to, “trying” to conceive can be very stressful. Even though, I tried not to stress I did. Also, I was still in my Sherpa support mode for Brett. He had an Ironman coming up and I needed to ensure he was able to get his training in without too much other family responsibilities. I completed the Richmond half marathon in November 2011 in 2:05 minutes. 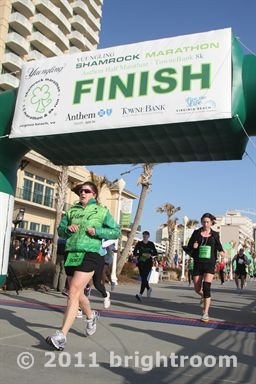 Clearly not my best time, I was hoping for under a 2-hour run, but in the end of was happy. The following week we were on our way to Cozumel, Mexico for Brett’s Ironman. As I have mentioned in several post as did he, he did great and completed it in 12:08 minutes. But within days of arriving home, Brett began planning his 2012 season. I on the other hand took my time. Knowing we were trying to get pregnant for the third time, I waffled between was it wise for me to try to plan the next six months of racing or was it better to just be the support system for Brett knowing he is doing his next Ironman in July 2012. Ultimately, after several conversations with Brett and my sister, I realized being ambivalent and in a state of limbo was not working for me; it was only stressing me out more and probably was hindering our ability to get pregnant. In order to reduce my stress and have several goals, I took the plunge and here is my race schedule thus far. I am planning to compete in my first half Ironman and if we are blessed to get pregnant again then like every thing else in life, we will adjust our “plans”. I am blessed that I have a very supportive husband and proud to say that even through one of the toughest times as a couple we faced, we got through it stronger and more connected. Here is to 2011 and I am looking forward to what 2012 has to bring.